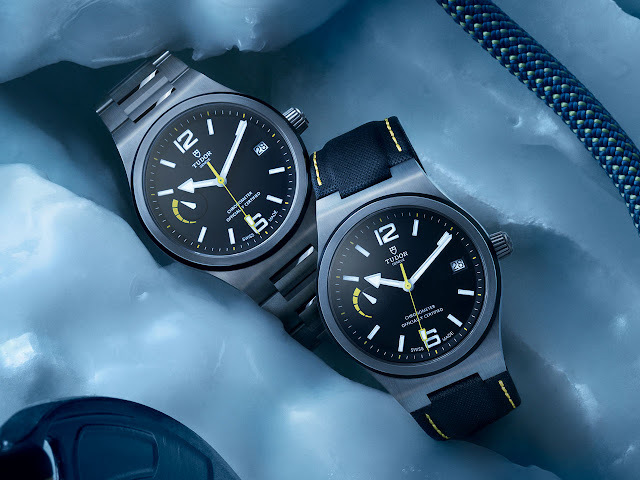 In the early 1950s, Tudor set out with the British North Greenland Expedition, an adventure during which the reliability, precision and resistance of Tudor's watches proved vital for the expedition's scientists. Inspired by these cornerstones of its history, and by vast expanses of untamed territory, the brand presents North Flag, which is driven by the first movement to be entirely developed and manufactured by Tudor. Made to perform, the MT5621 Manufacture calibre delivers an impressive power reserve of some 70 hours, which is shown at 9 o'clock. Beating at 28,800 vibrations/hour, it is fitted with a variable inertia balance with silicon balance spring, held by a transversal bridge that is secured at each end to fully withstand shocks and vibrations. 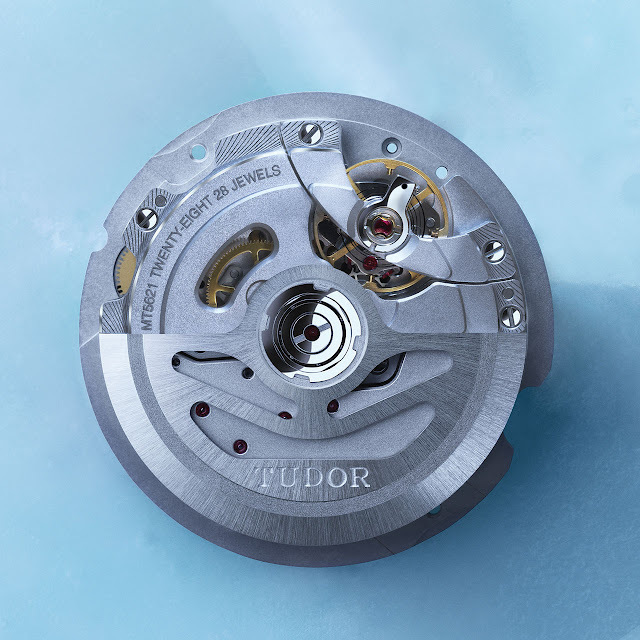 Further benefits include a bi-directional automatic winding system and COSC chronometer certification – another first for Tudor.